Pro Star Carpet Cleaning, currently offers the most affordable residential and commercial carpet cleaning services in Kennesaw, Georgia and surrounding towns and cities within our coverage area around Atlanta. We can accommodate special events, residential homeowners, real estate agents with new and resale property, multiple business locations, rental properties, and so much more! 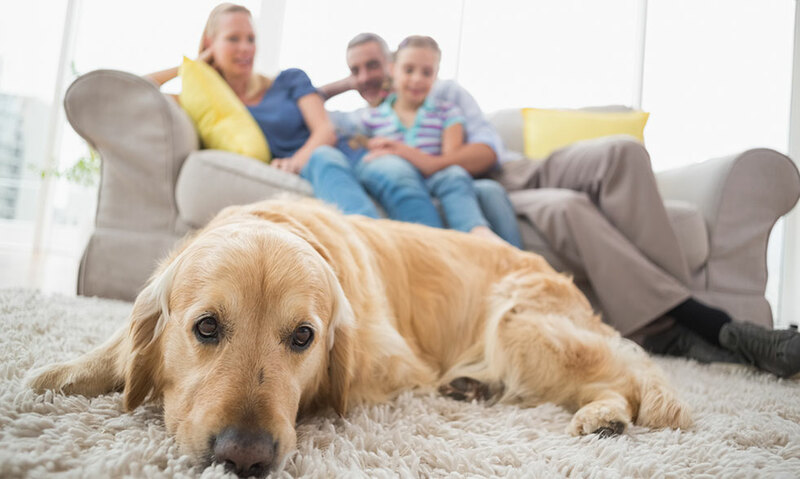 As a trusted leader with a solid reputation for high-quality workmanship, integrity, and affordable pricing in the carpet cleaning industry, all of our services are backed with our Satisfaction Guarantee. You will never have any worries about hidden charges, carpet over wetting, shrinkage, mildew, harmful odors or vapors, or cleaning residue with doing business with our company. We only clean with Environmentally Safe products around your family and pets. When our certified and friendly technicians arrive at your home or business, they are prepared to professionally inspect all areas that are to be cleaned. During the inspection the assigned technician will throughly evaluate each areas carpet conditions. They will then review and discuss the problematic areas identified and best possible cleaning process for those special areas of concern. A written or oral estimate is given to the customer prior to services starting along with the expectations of the services to be rendered to assure complete customer satisfaction. With many years of experience, you will soon learn that we get it right the first time! Pro Star Carpet Cleaning's preferred method of cleaning is "hot water extraction". This method is recognized within the carpet cleaning industry as both the most effective and efficient procedure for cleaning carpets, period! Carpets cleaned by hot water extraction are always noticeably brighter, softer, cleaner, and last longer. Your carpets are then pre-treated with heavy-duty stain and soil removers to problematic areas such as rust, tar, grease, dirt, oily residues, gum, etc. Thereafter, steam/hot water and cleaning solutions are mixed within the unit and then injected under high pressure into the pile (bottom carpet fibers) to effectively break up stains, harmful bacteria, fungus, chemicals, pollens, tobacco residue, dirt, embedded soils and much more within your carpets. 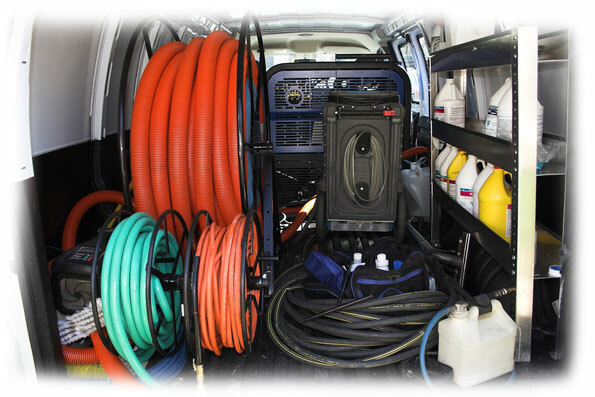 We will then use extraction to draw the dirt and soils out of your carpet through suction and these contaminants are then stored in a holding tank within our trucks or vans. Once the carpets are cleaned, light furniture will be returned to it's original location and plastic tabs or blocks are then placed under their feet. The pile of the carpet is then raked to help with the drying process if needed. The carpets are left damp to the touch but usually dry within 2-6 hours depending on humidity and air circulation within the home or business location. Dupont Teflon Protectants. Anti-static Carpet Treatments. Lipstick, Beverage, Red Stain Removal. Steam/Hot Water Extraction. Portable Steam Cleaning. 3M Scotchgard Protectants. Odor Control & Elimination. Deep Soil & Oil Extraction. Spot & Stain Removal. Disinfectants & Deodorizers. Gum, Dirt, Grit, Grease Removal. Soil Enzyme Treatment. Partition or Cubicle Cleaning. Office Furniture Cleaning. Got something you need cleaned other than carpets? We can help you with that also! Pro Star Carpet Cleaning also provides other cleaning services which include: upholstery cleaning, pet odor removal, stain removal, oriental or area rug cleaning, mattress steam cleaning, tile and grout cleaning, carpet re-stretching and repair, and water damage removal just to name a few. Ask about these professional services and we will be happy to help you the same day. Call us Today for your own Fast Free Estimate! © 2015-2017 Pro Star Carpet Cleaning LLC. All rights reserved.